Like it or loathe it the digital era is upon us. We at Giles TV try to simplify your equipment, so that all you have to do is to turn it on and it works!!! We are a family run business, have the knowledge of the latest technology and we are always on hand to give the best advice to our customers. Whether you are up to date with all the latest gadgets or you are a technophobe, you can be safe in the knowledge that you are in the hands of the experts. 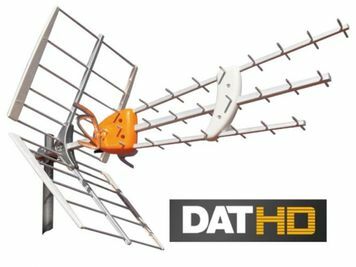 We specialise in Aerial installation of all types, Telephone fault finding however complex, TV installation, Tuning, Fault Finding and mounting, Home cinema, installations, CCTV, Networks and much more. We are based in Weston-super-Mare and cover the whole of Somerset and Bristol. No job is too big or small for our team to undertake. We are sure that you will be impressed by our service. We work directly with you to arrange suitable appointments, to try and avoid any time wasting or waiting in the house unnecessarily. We will discuss a plan from start to finish so you are fully aware of what will be happening. We have a strong dislike for cables being on display and we will always try and hide or camouflage them as much as possible. We have the utmost respect for our customers and their property and wear boot covers to protect carpets and all logical attempts’ to protect the home. We want you to feel that you had a nice experience when we visited and that afterwards, you wouldn’t hesitate to recommend us to your friends and family. TV tuning and setup (DVD, Video, X-Box PS3) etc.